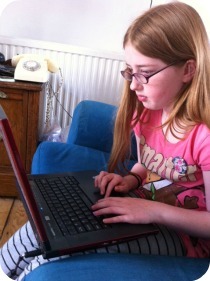 Hello and welcome to our site for kids who blog (and their parents). Not much to see at the moment but we are working hard behind the scenes and also watching The Simpsons so check back soon for lots of cool stuff for kids who blog. I have just opened my blog (http://urbissmallworld.wordpress.com/) and I used KBC badge. Please visit my blog and leave your comments so that I can improve my blog. Hi my name is ariana i want to start a blog as a kid because i love writing.